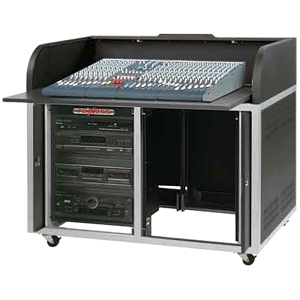 The Elite ERT-ST Roll Top A/V Cabinet is a secure, semi portable audio/video control center. Constructed of steel powder coat, rack ships assembled via common carrier. The ERT-ST features a curved facade with ultra strong tracking system and ball bearing action.